Dr. Schrubb is an exceptional dentist who is friendly, down to earth, and is gifted in his expertise. Just ask someone who has been treated by him! After fulfilling his military obligations and a tour of duty in Vietnam with the First Marine Division, Dr. Schrubb earned his Bachelors of Science degree in Biophysics at the University of Pittsburgh, Pittsburgh, Pennsylvania. Shortly thereafter, he attended Tufts University in Boston, Massachusetts, where he completed the requirements for his Doctor of Dental Medicine. Dr. Schrubb then entered the Navy Dental Corps as a Commissioned Officer where he was stationed in Okinawa, Japan with the Third Force Service Support Group under General Christmas, USMC. Upon resignation from active duty, he was awarded the Navy Commendation Medal. Dr. Schrubb has been in private practice at Amerident Dental since 1990 and participates in many Continuing Education courses and the most recent include Dental Implants and Removable Orthodontics. He is Certified in CPR on a Healthcare Provider Level and has completed training in Infection Control and OSHA Compliance. Dr. Schrubb has a cheerful personality and thoroughly enjoys coming to work with his patients and team. His patients often express compliments to our team members on how happy they are to have Dr. Schrubb as their dentist. In his free time, Dr. Schrubb likes to spend time with his family and his horses. Dr. Danika Crabtree has joined the periodontal team in our practice. The addition of Dr. Crabtree allows our practice to continue to deliver the highest level of comprehensive care to patients in our community. Dr. Crabtree is a graduate of Nova Southeastern University, School of Dentistry in Fort Lauderdale, Florida. 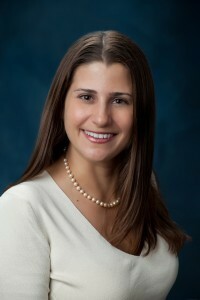 She completed her post –graduate periodontal residency also at Nova Southeastern University.Dr. Crabtree is a diplomate of the AmericanAcademy of Periodontology. She received her Bachelor’s degree at Brandeis University in Waltham, MA and after working in the field of Microbiology as a Quality Analyst, she decided to return to dental school. She has been practicing in Florida although she is a native Rhode Islander and is excited to now practice in Massachusetts. Dr. Crabtree was selected to join our practice because of her exceptional clinical abilities and shared values in patient care and caring. Dr. Crabtree’s enthusiasm and clinical skills make her an ideal practitioner for our community’s periodontal needs. Our team feels privileged to work with Dr. Crabtree and we are confident you will find her warm, experienced and more than capable. She is very excited about the opportunity to provide the best possible care to our community. Dr. Crabtree has had extensive training in dental implants and will be placing implants as well as performing osteotome and lateral wall sinus lifts. As a periodontist, she will bring her esthetic eye to the placement of implants, especially in the maxillary anterior area, the most difficult area to treat. Dr. Crabtree also performs extractions, including third molars, both boney and partially boney impactions. In addition to other periodontal non-surgical and surgical therapy, she is trained to administer Botox and dermal fillers. We look forward to continuing our valued relationship with you and feel great about this new opportunity to support our patients in an extended capacity. Providing care to our patients is the greatest honor we have professionally and we continue to be committed to meeting your periodontal and clinical standards at the highest level.